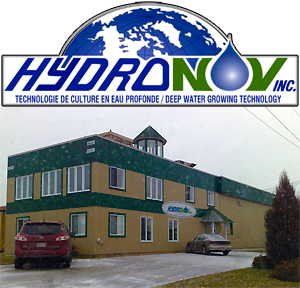 HydroSerre Quebec (HydroNov System) December 2011 - deep water raft lettuce (3 varieties) = 500 heads per square metre per annum production. Floating raft conveyor at HydroSerre, Mirabel, Quebec, Canada. 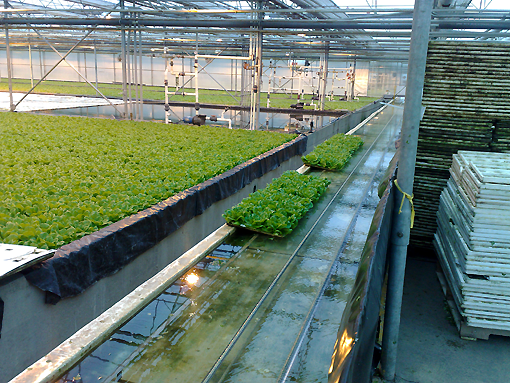 The floating grow bed rafts are punted onto a canal conveyor with recirculatingt cables and powered pulleys. 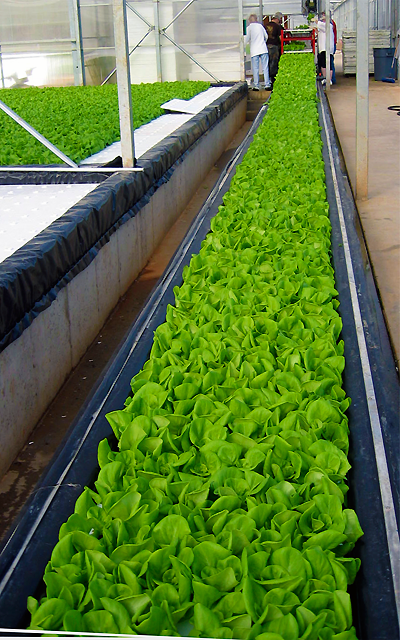 The fresh lettuce is moved to the packing station, wher an angled, self draining conveyor lifts the produce to packing work height. When the indidually packed lettuce is boxed together and has been vacuum chilled, it is ready for transport. 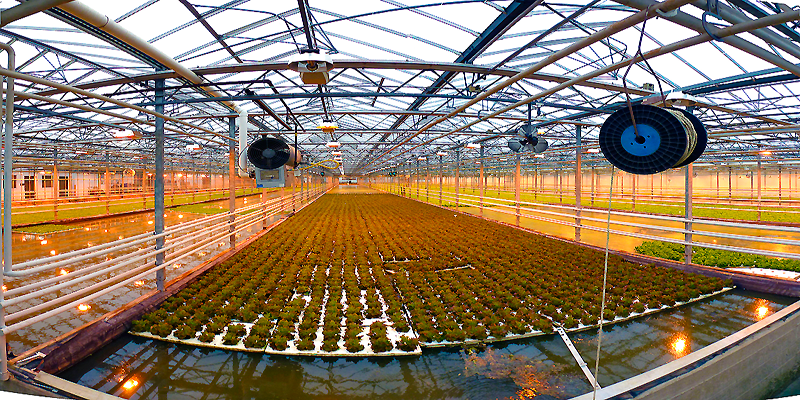 The ecoGROW system uses nitrogen recovered from the air separation process for packing, to inhibit decay and ecoGROW also deploys a secret gas adsorbtion widget in each pack to prolong shelf life.